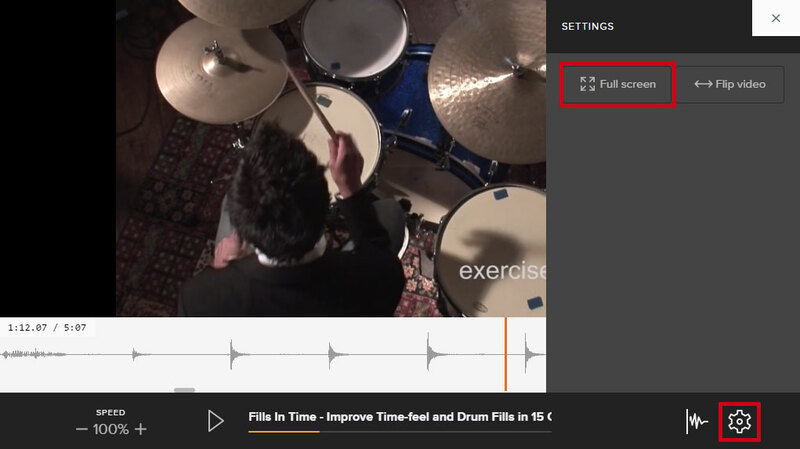 Today, we just introduced a new feature on MusicGurus.com: the ability to loop any part of our video tutorials, and to slow them down without changing pitch. This was the number one feature that all of you requested. Now you can capture the distinct sound of our gurus – whether that be the virtuoso violin of Maxim Vengerov, the hard-boogieing piano of Paddy Milner, or the intricate licks of Grammy-winning guitarist Laurence Juber! Here’s a step-by-step visual guide on how to use the player. 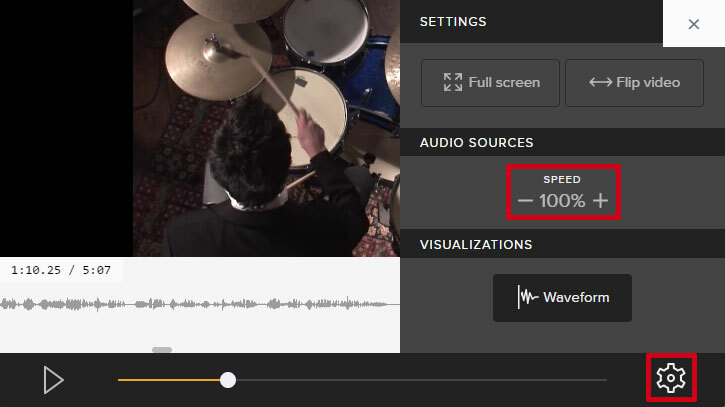 To loop the video, you first need to make sure that you can see the waveform below the video. Now let’s set our loop. To do this, click and drag your mouse over the waveform to highlight the section you want to focus on. To stop looping, click anywhere on the waveform to de-select the highlighted area. To switch to Full screen mode, click the “cog” settings button under the video and select “Full screen” in the popup menu. Note: Fullscreen mode is only available on desktop and certain tablets. On smaller devices the video player will take up most of the screen by default. No more battling with the youtube or spotify playback bar, trying to land your cursor on the right pixel, with all the precision of a giant texting on a Nokia 3310. No more repeatedly clicking back on that precise spot, an activity requiring the accuracy of a champion darts player needing to nail the triple 20 each throw. 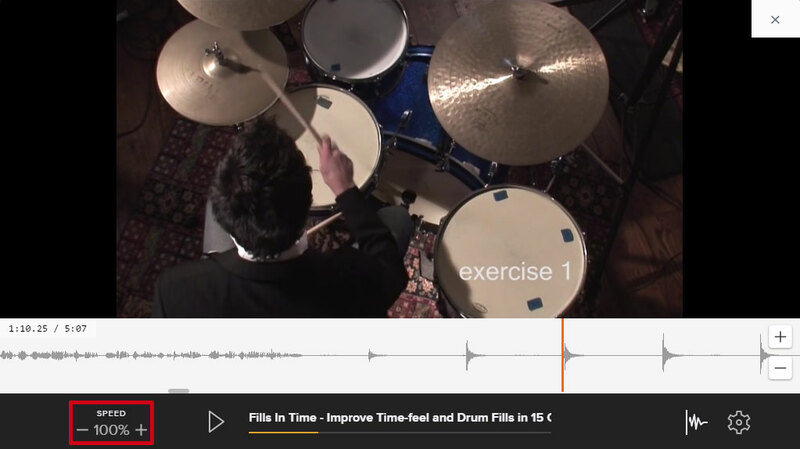 Our player allows total precision and you can zoom in on exactly the note, or group of notes you’re practicing. Have fun and drop us a line to send us your feedback, suggest ideas on new features, or just to say hello! 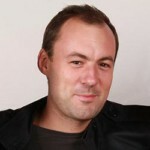 Christo is part of the team at MusicGurus. He's into anything that combines creativity & tech. Refer a friend and get 15% off for BOTH of you! 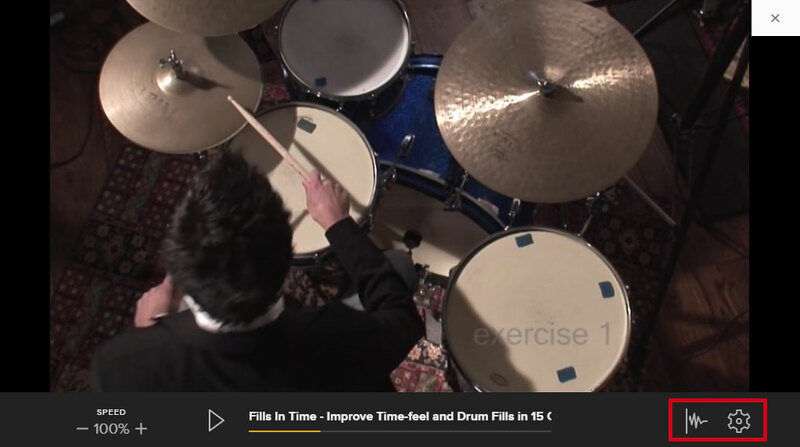 New on MusicGurus: Challenge assignments. Check out this how-to guide for tutors. QUIZ: How well do you know your music theory?